Bad news for the New Jersey Devils. The team has announced on Tuesday that defenseman Mirco Mueller has a fractured clavicle from hit delivered by Chicago Blackhawks John Hanley on Sunday and will be out indefinitely. The 22-year-old defender is set to undergo surgery on Thursday. 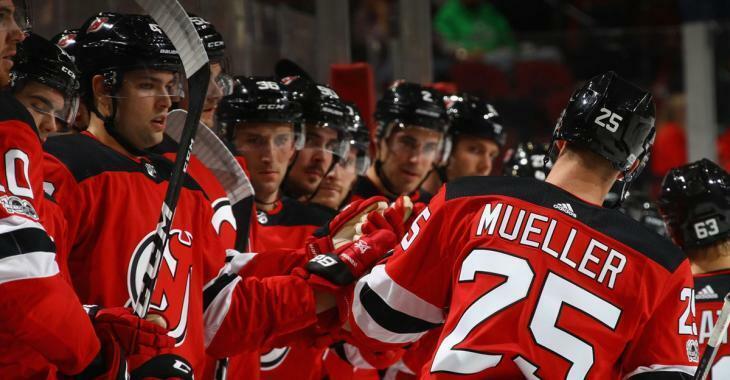 Muller, who had has assists in 13 games in his first season with the Devils, left the United Center with his left arm in a sling on Sunday night after exiting the game just 18 seconds into the first period on a hard check from Hayden.